This magnificent shopping mall with trolley and outdoor chandelier is one the top destinations for shoppers. 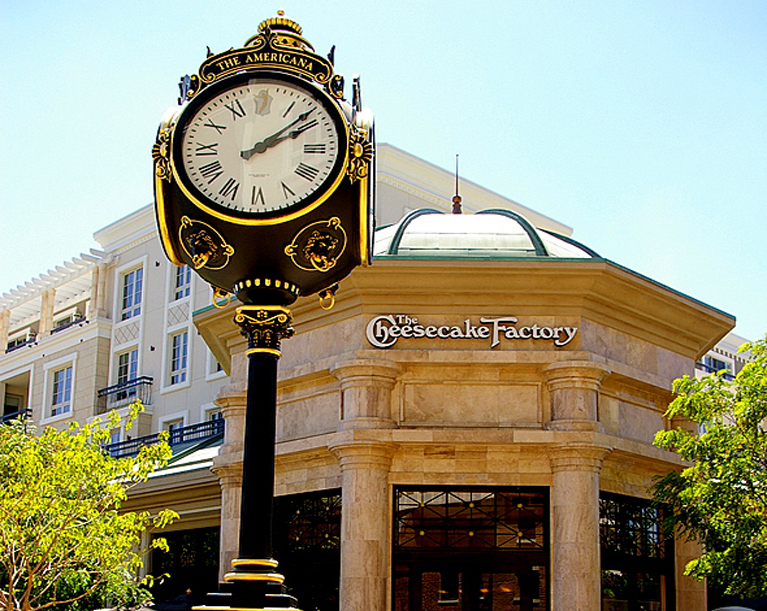 Cyrus Company manufactured and installed all crown moldings and integrated details on the restaurants, theater, residential corridors and shops. It was a challenging project since we had to satisfy all varieties of clientele. 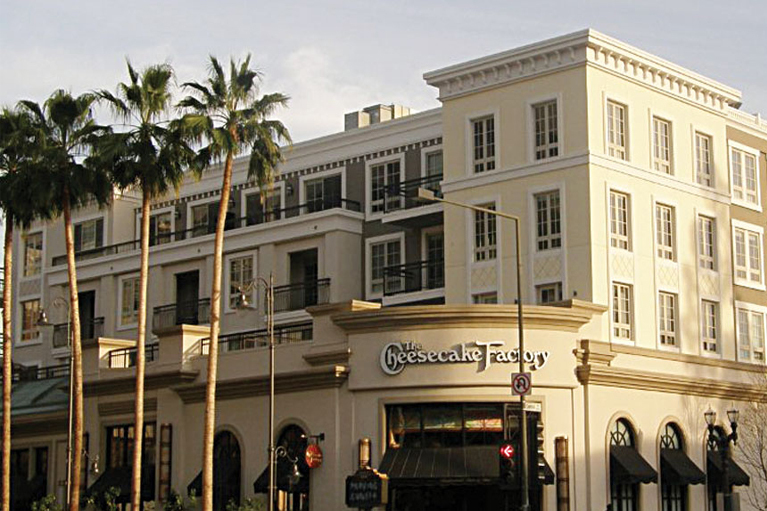 Each store demanded their own recognizable facade, and they had their own character. Therefore, we end up doing different texture and color on each individual store. The majority of finishes were smooth, but some stone finishes were called for as well. Besides exterior foam, we provided filler foam around the pool areas on the second floor to reduce the weight. 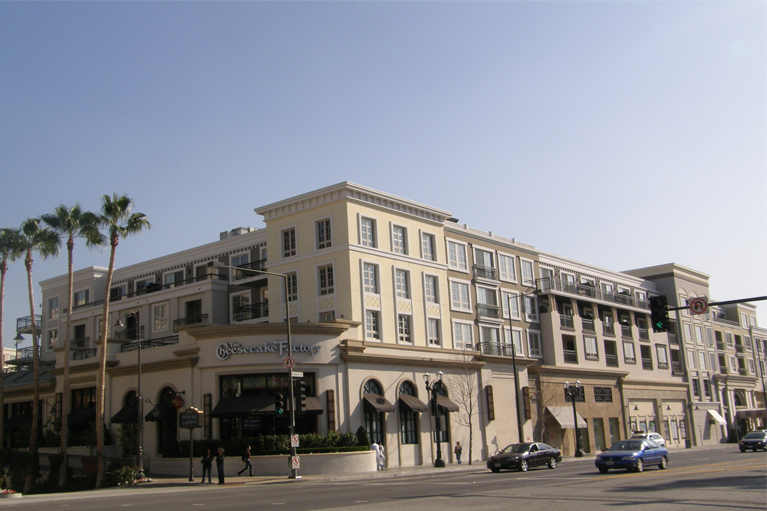 This project by Caruso development was highly publicized, and the grand opening included the governor, and many celebrities. It includes the whole city block with the exception of one hotel which Cyrus company remodeled the whole entire exterior while the hotel operating during construction, and won an award from Dryvit (exterior supplier) for the best project of the year!